Until a few days ago I was convinced that the most disruptive technology at a wedding ceremony was a drone flying overhead. Yes, everyone present brandishing smartphones and tablet devices to take photos has the potential to cause issues for the official photographer, but that technology is so ubiquitous that most people don't think twice about it. However, something that makes a noise and attracts attention really does disrupt the ceremony. 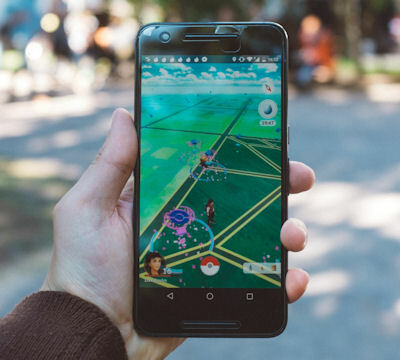 While drones have been around for a couple of years (more on that topic later in this post), in the last week or so a major new issue has appeared - the Pokemon GO. If you're holding your ceremony in a publicly accessible place (parks, botanic gardens, public buildings such as art galleries, historic buildings, restaurants, and so on) you should check out if your chosen venue is the site of, or adjacent to, one or more Poke Stops, and particularly (unfortunately this will be very close to the day) whether any Adventure Walks have been organised for the area. Thousands of people turned up to one at the Sydney Opera House last weekend. An Adventure Walk for children is planned this coming weekend for the City Botanic Gardens in Brisbane (a popular wedding venue that has 9 different sites that can be booked for a wedding), and Southbank Parklands is choc-full of gamers pretty well every day. What this means is that random people may walk through your ceremony site in ones, twos, or large groups, may hunker down and toss Poke Balls, and may generally cause difficulties with access and parking. If you're not having an unplugged wedding, but you're in a Pokemon Stop, gym or some such, your guests may well spend the entire ceremony immersed in the game rather than being in the moment with you. By contrast, having a drone fly over to capture a bird's eye view, only takes a minute or so. While drones are noisy (a drone sounds like an angry swarm of bees), and everyone will be rubbernecking, because of rubbish battery life it is not going to go on for very long, usually you have to have pre-arranged it and therefore both you and your celebrant will know when to expect it, the flying of drones must be approved by CASA (the Civil Aviation Safety Authority) and permission is generally only given where the drone will be flying in a tightly controlled and low-risk situation. Just one caution. Just because someone you know owns and can pilot a drone doesn't mean that they're skilled at taking photos from one. For ultimate satisfaction with both the experience and the resulting images you need to be sure that both skills are equally present. The technology is a long way from being reliable. So don't get your heart set on having aerial photos on the day even if you've booked drone photography. Think of it as an option that might or might not eventuate. And make sure that your contract specifies a refund if conditions don't allow the drone to fly. The weather has to be right. And it may well be that whether or not your drone pilot can fly the device on the day won't be able to be decided until the last minute - and on site. Trees, buildings, and powerlines are an big issue, and not just for safety sake. Drones are programmed to return rise into the air and head back to where they were launched if they lose the GPS signal. Videographers hate them (the noise! ), so avoid having a flying drone around during the ceremony or reception while your videographer is filming. You do need to keep your videographer on side if you're planning on integrating footage captured by a drone in your wedding video. It will be the videographer who will cut the footage into your wedding film, and who will make sure that an appropriate sound track accompanies that footage.